Our range of Orthodox metal fringes is available in varying thicknesses ranging from 0.8” to 2.0” These fringes are available in both gold and silver and are ideal for decorative purposes. The metal fringes are available in an assortment of designs so that you can choose one that matches your needs the best. 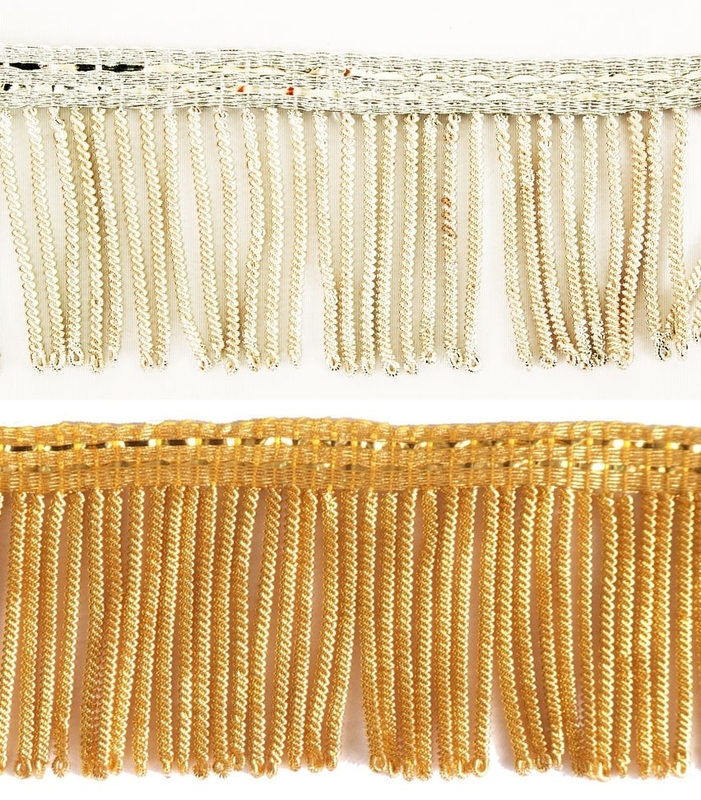 Other popular fringes in our collection are semi-metallic fringes, bullion fringes and beaded fringes. The semi-metallic fringes are frequently used to accessorize liturgical vestments. However they can be used to trim other church items too. 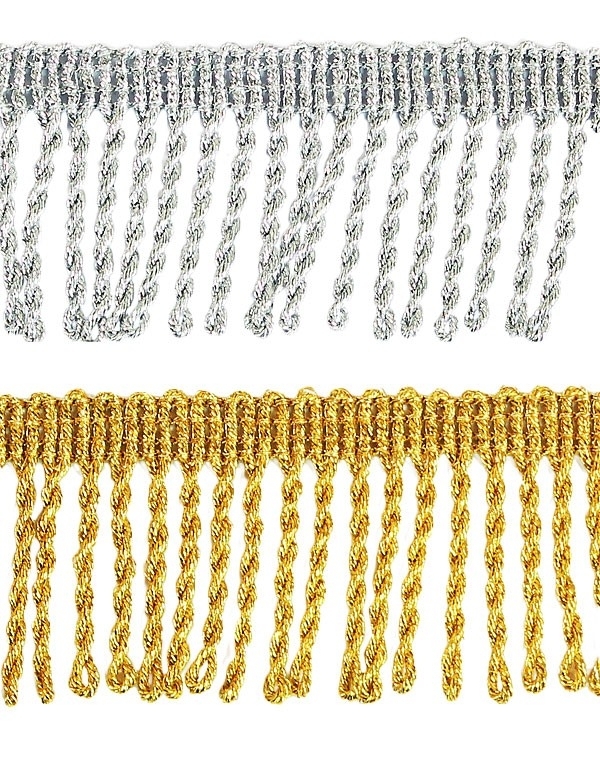 Similarly, the bullion and the beaded fringes are also used to trim vestments and other church items. Choices range from gold fringes, silver fringes and copper fringes, so that you can choose the color that best suits your purpose. Just like with all our other products our fringes too are easy to order. They are sold by the meter so that you can buy exactly how much you need. Make sure you measure right though. All of our orders are sent through RPS – Russian Postal Service. The time taken for delivery will depend on whether you have selected air or ground transportation. You can get in touch with us if you have not received your shipment in 3 weeks. Please note that RPS only initiates tracking after 4 weeks for air shipments and 2 months for ground shipments.